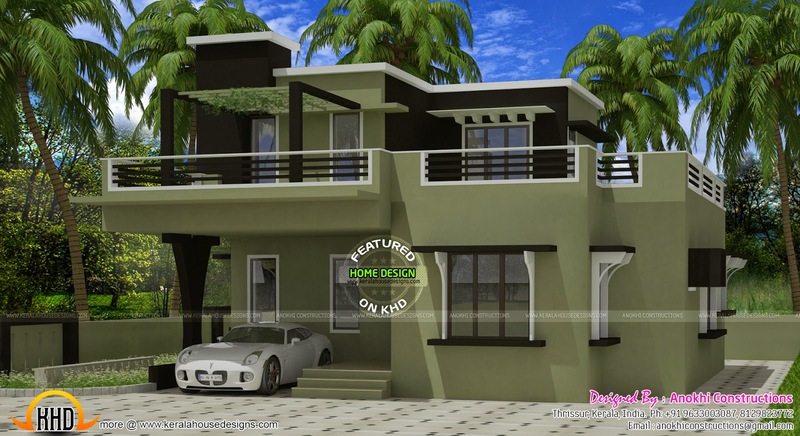 Floor plan and elevation of 1550 Square feet (144 Square Meter) (172 Square Yards) Modern house. Designed by Anokhi Constructions, Thrissur, Kerala. Ground floor : 800 Sq. Ft.
Total Area : 1550 Sq. Ft.